To celebrate World Poetry Day this year, we have drawn together an international line up of some of the world’s most thought provoking and forward thinking lyricists. 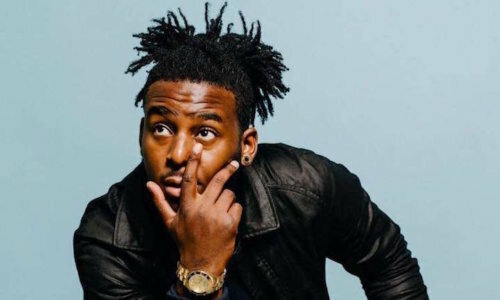 Malcolm London, called “the Gil Scott-Heron of this generation” by American philosopher Dr Cornel West, is an internationally recognized poet, activist, educator and musician from Chicago. He brings vim and vigor to his energetic performances tackling tough contemporary issues head on, and has worked with Chance The Rapper on his documentary Some Call It A Conspiracy, and Donnie Trumpet, Vic Mensa and How to Dress Well on his last album OPIA. Joining him on the bill are LA alt rapper Busdriver, electronic pop band Benin City led by poet Joshua Idehen and Touching Bass-affiliated artist Lex Amor.